It has been a grim few weeks. This morning I painted my nails purple and sparkly to commemorate a little girl who died of cancer on her sixth birthday and to support my close friend who is grieving her loss. When I first thought of painting my nails, I almost decided not to do it. I thought, do I really want to think of something so sad whenever I look down at my hands? As if the last week and a half hasn’t been hard enough? And then I thought, of course I want to do it. This is what it is to love, and this is what it is to be human. I first met Jay Lake when he’d already been fighting cancer for some time. I’d heard tons of stories about him, and I’d passed him in convention hallways. I put off reading his blog because I knew it was all about cancer, and my mom died of cancer, so I thought it might be too much for me. But then I finally got the chance to spend some real time with him at my first ConFusion. And I began reading his blog. And we became friends. And at the time I thought, do I really want to open myself up to becoming friends with someone who is this sick? Do I really want to allow the possibility of the pain of losing someone I’ve come to care about? And then I thought, of course I want to do it. It is worth it to me to have the chance to know this incredible person. I’ve been falling down a lot lately. Part of that is because I’m still learning, and part of it is because I’m practicing and practicing requires a fair amount of failure. Part of it is simple fatigue. And part of it is because this is what happens when I don’t wall myself off from the rest of the world. This is part of what it means to care. So I fall down, and then I get up, and then I fall down, and I get up again. And then I fall down, and I fall down again before I’ve had a chance to get up in between, which is a special brand of awful. There is a part of me that thinks the best thing ever would be if everything about my life was just easier. That this should be my supreme goal for my life. That if everything were easier, then I’d be very happy and I could stop trying all that hard and enjoy a nice coast through the next decade or two. I think I want everything to be easy. But when I look at the choices I make, it is obvious that this isn’t actually what I want at all. I don’t pick the easy choices. I’ve never made a habit of picking the easy choices. I majored in music, I moved to another country, I started my own business, I started writing seriously, I’ve changed huge swathes of my life. I became friends with Jay Lake. 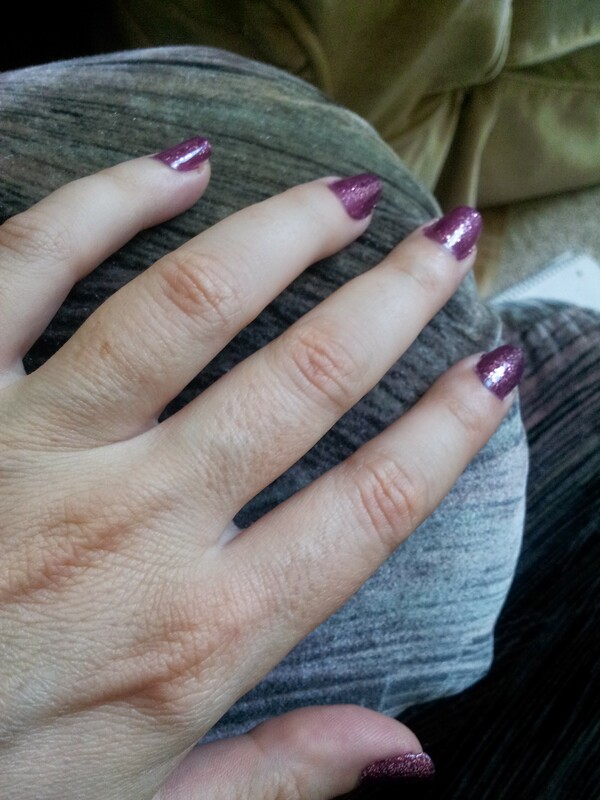 And I painted my fingernails purple for a little girl I never got to meet. This is what it is to create meaning. This is what it is to be human. This is what it is to love.